Mykhailo Kharyshyn was born on March 7, 1964 in the Posukhiv village, Berezhany district, Ukraine. He is a historian, diplomat. Ph.D. in History (1995), Assistant for International Relations (1999). He graduated from Kyiv State University named after T. Shevchenko in 1989 and in 1995 completed his post-graduate studies at the same University. In 1999 he graduated from the Public Administration Academy of the Republic of Moldova and in 2005 from the Belarusian State Pedagogical University named after Maxim Tank. Since April 1995 Mykhailo Kharyshyn has been in the diplomatic service of Ukraine. He worked as Second Secretary of the Department of CIS, First Secretary, Counsellor of the Third and First Regional Directorates, Assistant to the First Deputy Minister for Foreign Affairs of Ukraine. He was responsible for Ukrainian-Moldovan relations and Ukrainian-Russian relations. Mykhailo Kharyshyn was a member of the negotiation process on the Transnistrian settlement, a member of the group of the Plenipotentiary Representative of the President of Ukraine on the political settlement of the Transnistrian conflict in 1996-1999, Executive Secretary of the Interministerial Commission of Ukraine on political settlement of the Transnistrian conflict (2000-2001). In 2005-2007 he headed the Secretariat of the First Deputy Minister for Foreign Affairs of Ukraine, was member of a working group of the MFA of Ukraine dealing with the temporary basing of the Russian Black Sea Fleet in Ukraine. 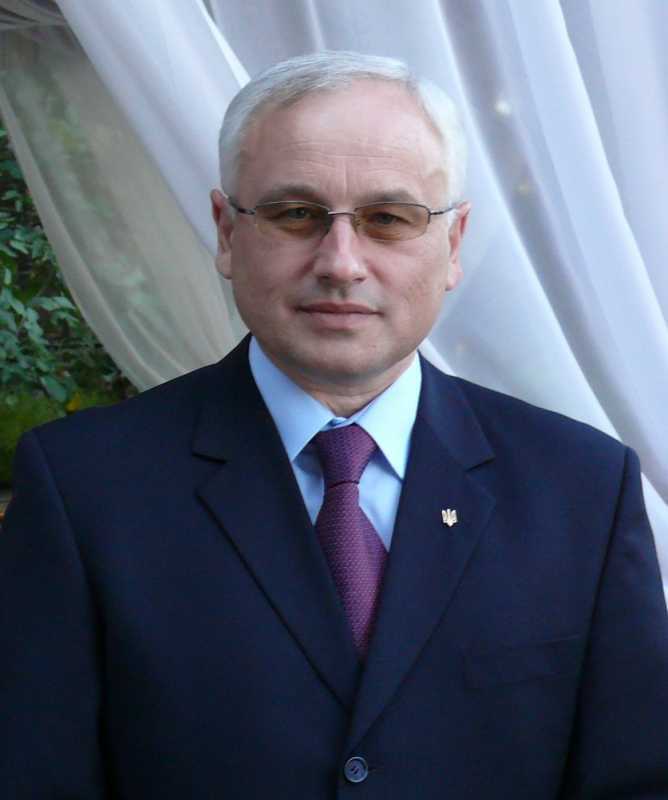 Mykhailo Kharyshyn occupied the position of the first Secretary of the Embassy of Ukraine in the Republic of Moldova (1996-1999) and at the Embassy of Ukraine in the Republic of Belarus (2001–2005). Since September 2007 he has been Minister-Counsellor of the Embassy of Ukraine in Moldova. Being posted to the foreign missions abroad Mykhailo Kharyshyn promoted the revival of Ukrainian culture in Belarus and Moldova. In particular, under his direct supervision the opening of the memorial Stella for the Hetman of Ukraine Ivan Mazepa in Varnytsya village, Moldova in 1998, memorial plaques for the Ukrainian poet Lesya Ukrainka in Minsk in 2004 and Moldova in 2007, memorial sign to the Cossacks of Ivan Mazepa and Pylyp Orlyk troops in Transnistria in 2008, monument of the Ukrainian poet Taras Shevchenko in Transnistria in 2008, monument of Ukrainian Hetman Ivan Mazepa in the Bender Fortress in 2009 and monument of Ukrainian poet Ivan Kotliarevsky in Transnistria, 2010 took place. He promoted the beginning of the activity of the Ukrainian Orthodox Church of St. Volodymyr in Chisinau in 1998, actively supported the activity of the Ukrainian Greek Catholic Church in Chisinau and provided significant assistance to East Moldovan and Falesti Dioceses of the Ukrainian Orthodox Church of the Kyiv Patriarchate. Mykhailo Kharyshyn contributes regularly to informing the international community about the biggest tragedy in the XXth history of the Ukrainian people – Holodomor (famine) of 1932-1933. He held public lectures in Belarus and Moldova, including Transnistrian region, took part in the international campaign "Light a candle", personally handed the torch-candle to the Ukrainian community in Kazakhstan on behalf of the Ukrainian community of Moldova in October 2008. He is also an author of more than thirty scientific articles, four books on the medieval history of the Ukrainian church, the problems of conflict resolution in post-Soviet area, the various aspects of Ukraine's relations with Moldova, Belarus, Russia, on specific issues of Ukrainian history. The articles mentioned were published in leading scientific magazines in Ukraine, Moldova and Belarus. On the main directions of assuring the national, cultural, educational and informational needs of Moldovans in Ukraine // Ukrainians in Moldova, Moldovans in Ukraine: the ethno-social processes. Materials of International Conference, Chisinau, October 9, 2008 – Chisinau, 2009. – p.129-133; others. In 2010 his first literary collection “Sources” was published. Mykhailo Kharyshyn has the Diplomatic rank of the first class Counsellor. He was awarded with the Diploma of Verkhovna Rada of Ukraine "For Merits before the Ukrainian people" (2005), Diploma of the Ministry for Foreign Affairs of Ukraine (2006) and the Diploma of the Ukrainian Greek Catholic Church "For personal contribution to the spiritual and social development of the Ukrainian community in the Republic of Moldova” (2009), the Ukrainian Orthodox Church of the Kyiv Patriarchate Award "Prince Vоlodymyr the Great" (2010) and other awards. Married and has two daughters. He lives in Kyiv together with his family.